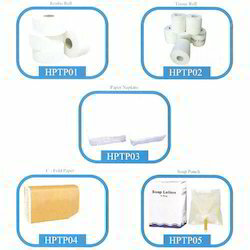 We are engaged in making available a premium range of Tissue Rolls. These are a vital part of toiletry in the hospitality sector. We source these rolls from reliable manufacturers, who use qualitative variety of raw material. 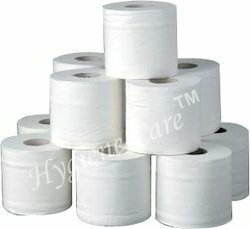 Known for their eco-friendly & bio degradable nature, these rolls are in high demand amongst the clients. 'Regal' range of paper tissue products reflects great value for money while providing good functionality and usage satisfaction. Being a customer oriented enterprise, we are engaged in providing a wide array of Toilet Tissue Roll.